The Endurance Factory (TEF) is experienced in training for all distances of triathlon, swimming, biking (gravel & Road), running. TEF is focused on providing a quality program with innovative training solutions. Lead by the only collegiate triathlon coach in Kansas, we are use to thinking outside the box. We take a different approach to training because your time is limited and valuable. Are you ready to see how far you can go with the right training! As a youth Lovgren was a competitive swimmer and won several medals at the local and regional level. In high school he gave up swimming to pursue baseball, where he helped his team to have one of the best seasons in their history. Now a certified USA Olympic Level I Triathlon Coach, Youth and Junior Coach and Level III Cycling Coach, Lovgren has been coaching since 2000. 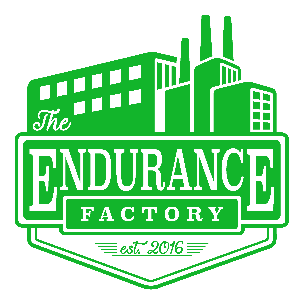 Founding The Endurance Factory in 2016, it has already became the areas most successful group training program. Carrying over his success to the collegiate level, Lovgren is the head-coach for the Newman University Triathlon Team, Kansas’s first and only collegiate triathlon team, Lovgren is excited for the possibilities this holds for Wichita’s triathlon community. Off the field, Lovgren enjoys working in his garage on various automobile and woodworking projects. He is supported at home by his wife and son, Jennifer and Jackson, and their dogs, Oliver and Ginger. Lovgren has been an Eagle scout since 1999. Success. Coach Jeff Lovgren has been notified of your message.